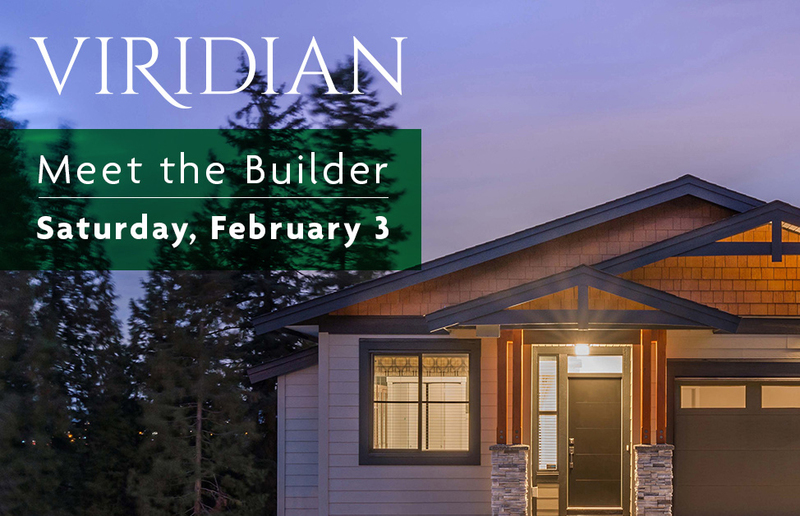 Join us for a special Meet the Builder event on Saturday, February 3 from 1:00 to 3:00pm onsite at Viridian (map it). This will be an exclusive opportunity to meet Rob and Harry Grimm, the co-founders of Portrait Homes, as well as key members of their award-winning construction team, and ask them any questions you have about the homes being built at Viridian or about the development. Come for coffee and cookies, tour our beautifully furnished show homes, and learn more about this exciting new community! Receive invites for future events at Viridian straight to your Inbox. Join our email list!